Since 1985, Bloomington, IL chiropractic patients have made Bly Family Chiropractic their choice for pain relief and rehabilitation. 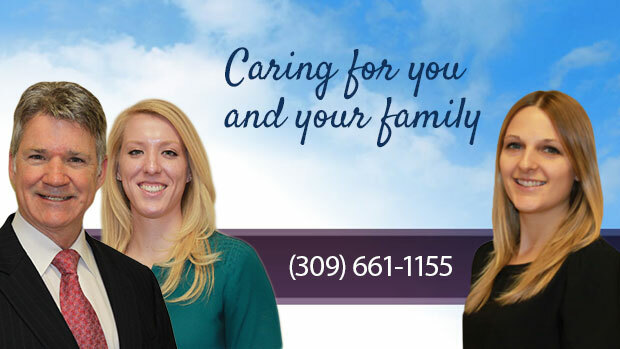 With the wide variety of services we provide and our “two heads are better than one” philosophy, Bly Family Chiropractic is the chiropractic office in Bloomington, IL who puts your needs first! If chiropractic can help you, we’ll let you know. If not, we’ll help you find a resource who can! 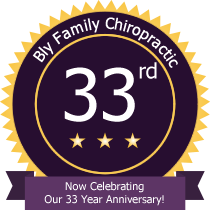 For over 25 years, the Bloomington chiropractors of Bly Family Chiropractic have made our patients’ needs our number one priority. If you are looking for a safe, non-surgical, drug-free approach to pain relief, call us today. Helping families in Bloomington with all of their chiropractic needs. You guys rock. Now I can walk. Awesome! Looking forward to being treated. I really do like the doctors and the staff made me feel at ease. I felt welcome and everyone seemed to care. And that I knew what to expect and how I can benefit from the treatments. I found everyone helpful and pleasant. My doctor called hours after my first adjustment to see how I was feeling! Everything was great. I felt better hours after my first adjustment. I love this new method of adjustment. My neck felt 100% better with the first adjustment! Dr. Lindsey is absolutely amazing and extremely personable. She listens to what your wants and needs are and genuinely cares for her patients. Great experience! Afterward I really felt confident my back issue would be taken care of no problem. Very nice and friendly staff. Always smiling. Everyone was AWESOME, above and beyond my expectations (I have high expectations of everywhere I go). I would recommend Bly Chiropractic to anyone (even those I dislike, they are that good). Love the process. Very quick and thorough. I like that they offer gift baskets and items you can purchase. After just two adjustments I am already starting to feel better. For the first time in months I have had a headache free morning. I am beyond thrilled! Health and wellness articles published by Dr. Timothy Bly, Bloomington Chiropractor. Subscribe now.